You may not know it, but it’s likely that many items in your wardrobe were made in Portugal. From high street giants like Zara to the most established luxury labels: countless collections are being constructed in the countryside around Porto. Amongst these hills, a tradition in textiles and an advantageous position between Europe and the Americas have formed one of the most important clothing and footwear manufacturing regions in the world. Meanwhile, across Europe, budding design talent emerges each year from our prestigious fashion colleges. 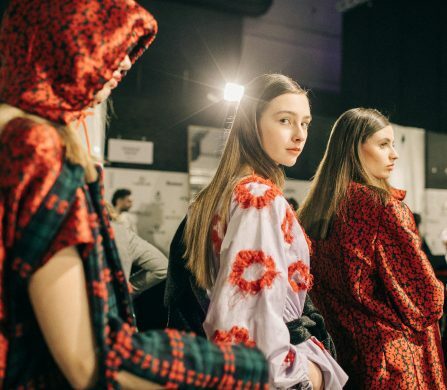 MODAPORTUGAL is an initiative that aims to bring these two worlds together, by drawing on the expertise of the Portuguese industry to benefit the fashion stars of the future. Last month, 33 young fashion and footwear designers from eight European countries were invited to Porto to network with international press and industry experts and compete for a bevy of prizes but, perhaps more importantly, they visited the factories to see for themselves how a collection is taken from the drawing board to the shop floor. First up was a visit to high-end clothing manufacturer Calvelex. Although we can’t name names (the company chooses to keep its customer base closely under wraps), it’s safe to say that many of the best known international brands are produced under its roof. It also offers a design service, stockholding and distribution – effectively a one-stop-shop. Launched in 1985 by two teenage brothers, who were third-generation tailors, the family firm has grown from 20 to 700 employees and produces over one million garments a year. 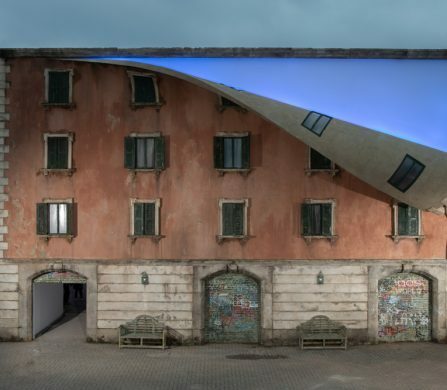 Undoubtedly, the key to this success resides in the use of cutting-edge technologies and highly trained staff, but also in the desire to work with young designers. 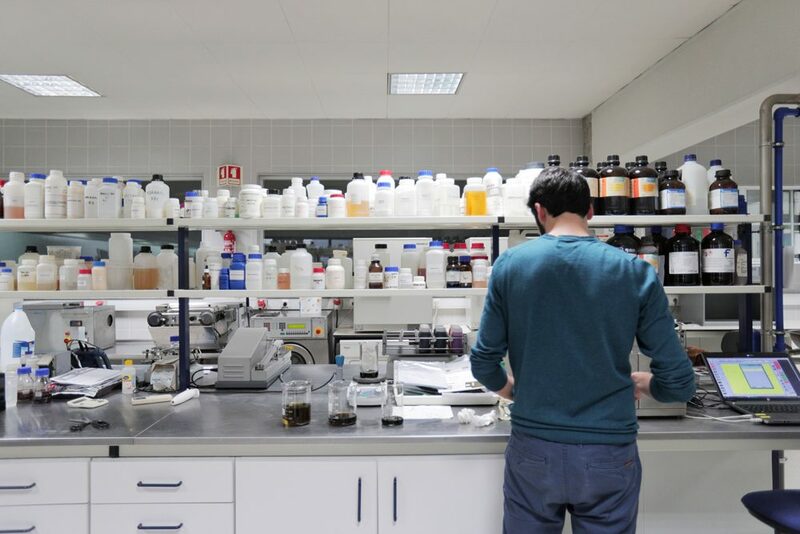 The Fabric for Fashion scheme enables students to source the right materials for their collections, with a minimum order of only one metre – an invaluable service, especially given that Calvelex maintains one of the largest fabric libraries in the world, with over 7,500 references available to students. In addition, it commissions emerging designers in London, Dublin, Amsterdam and New York and further supports them by producing their collections. 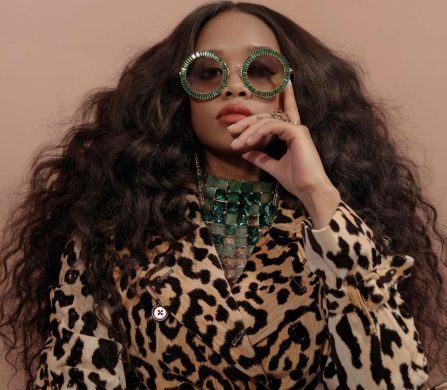 On the other end of the spectrum, Polopique is a leader in designing and creating fast fashion, with a capacity for producing 100,000 garments a day. 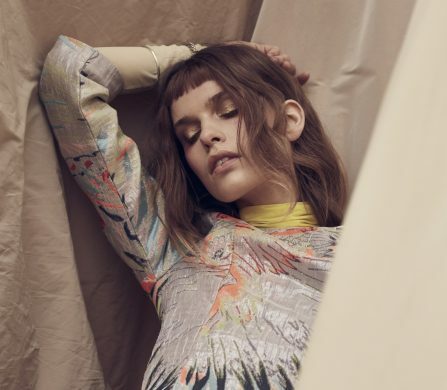 Ninety percent of its production is for fashion giant Inditex, parent to high street favourites including Zara and Massimo Dutti. Here, we witnessed a Zara Man polo shirt being put together at breathtaking speed. However, Polopique is not just about stitching and steaming. 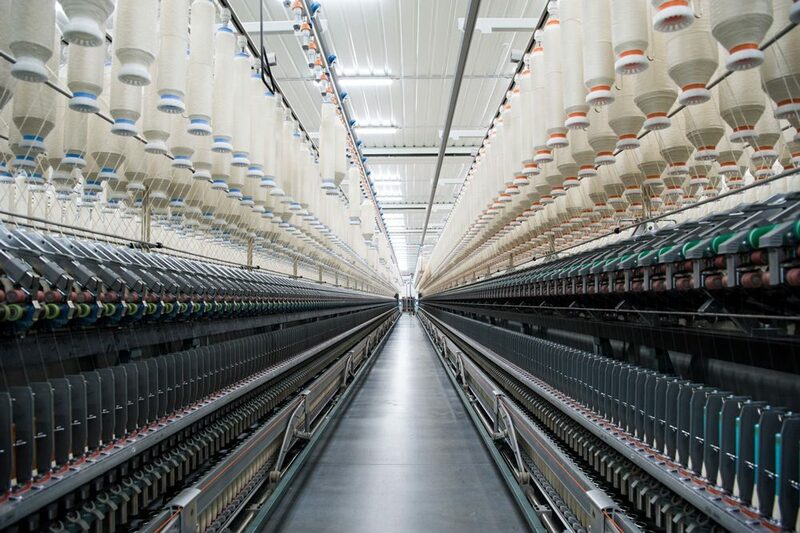 Bales of cotton and other fibres arrive here and are washed, spun, dyed and woven into shirting fabrics. The company aims to use 50% organic cotton in its production to minimise environmental damage. Whilst Polopique is all about fabrics, at Adalberto Estampados, it’s all about pattern. Since 1969, the company has been printing original designs for leading European brands, using both traditional and digital techniques, but also by hand painting fabrics. We encountered the resident artist in a studio refreshingly filled with pigments and brushes rather than keyboards and monitors. It’s this approach which gives birth to prints too detailed and delicate to be created on a computer. If knitting conjures up images of granny in her armchair, think again. Crispim & Abreu produces a vast range of products, from hoodies to homeware, using circular knitting techniques. The fabrics are also dyed and printed here, and the factory is a veritable colour fest. Environmental sustainability and ethical practices are key concerns. As well as achieving an ecological label, the company works with various healthcare partners to develop innovative technologies. Who knew, for example, that fabrics could be used to help prevent and control disease? 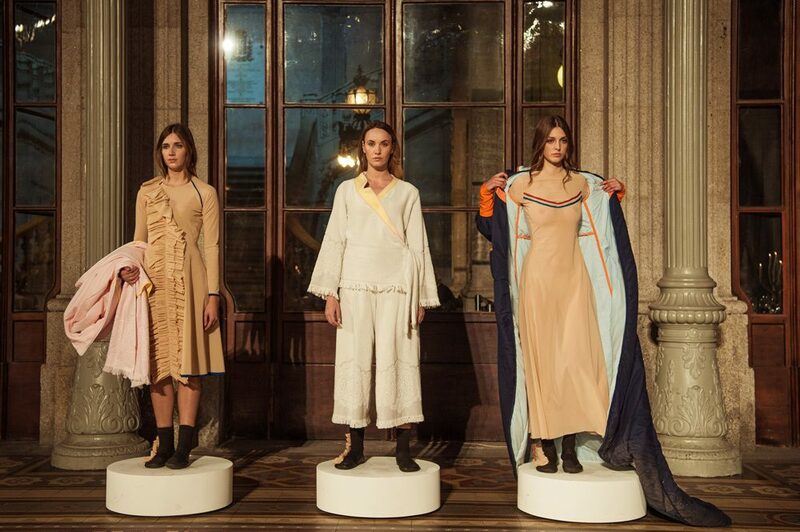 Our young designers were then transported from the factory floor to Porto’s gorgeous Palácio da Bolsa, where they each presented three looks or footwear prototypes at a glamorous gala dinner. 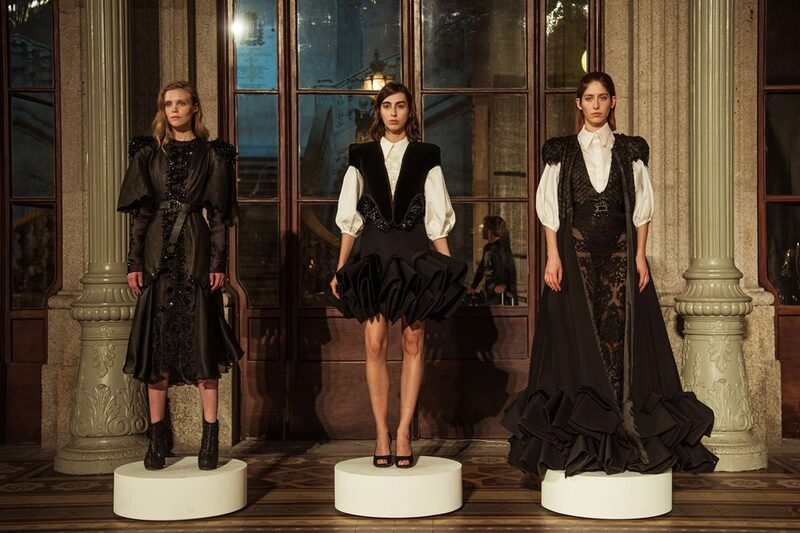 The designers hailed from some of the top fashion and footwear colleges in Belgium, the Czech Republic, France, Germany, Italy, Portugal, Spain and the United Kingdom. A prestigious panel of international judges included photographers, designers, consultants and Schön! magazine’s own Nicky Gray. 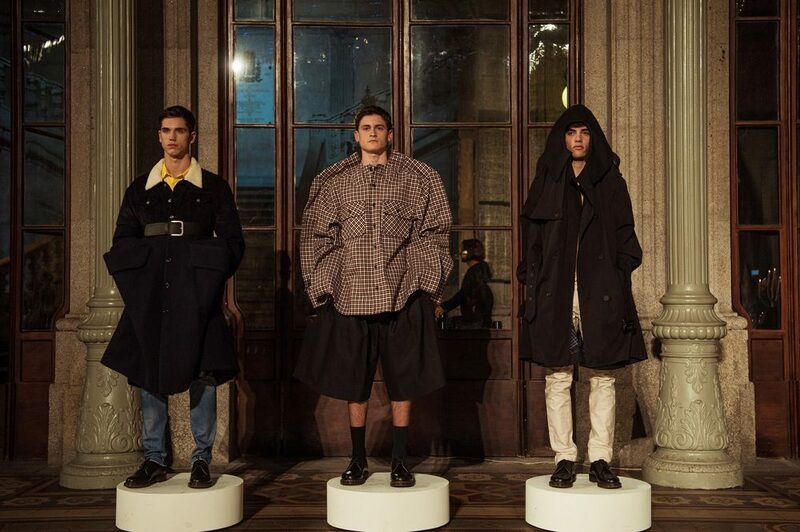 Awards were handed out for the best fashion and footwear collections from each country represented, before the grand prizes for Best Fashion Collection (Cyril Bourez from Belgium) and Best Footwear Collection (Daniel Gonçalves from Portugal) were presented. We trust that the young designers were further inspired by their visits to Portugal’s factories, where the dreams born in famous fashion houses finally come to life.